In order to improve networks efficiency, a considerable number of studies has been addressing the potential of eco-friendly assignment solutions as alternative approaches to reduce emissions and/or fuel use. So far the majority of studies generally assumes that the most eco-friendly solutions are the ones that minimize the absolute amount of emissions produced along a certain trip. In this work a platform based on both empirical GPS data and microscopic simulation models of traffic, emissions, noise, and road safety was developed to examine in depth 4 routes of an origin-destination pair over a Portuguese city. In addition to the integrated externalities assessment based on state of the art techniques, a novelty of this work was the preliminary inclusion of social criteria in defining sustainable assignment solutions. 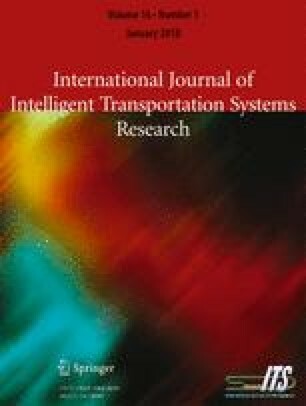 This paper provides new insights about sustainable traffic management issues and addresses multiple novel route choice indicators. Specifically we found that the relative variation of the individual costs and total pollution produced among 4 routes varies to a factor of 1.4 while the variation of the potentially exposed population ranges up to a factor of 10. The main results confirm the need to take into account real-time urban activity patterns in order to effectively implement sustainable traffic management measures. This work was partially funded by FEDER Funds and by National Funds through FCT – Portuguese Science and Technology Foundation within the project PTDC/EMS-TRA/0383/2014, and by the Strategic Project UID-EMS-00481-2013. J. Bandeira acknowledges the support of FCT for the Scholarship SFRH/BPD/100703/2014 and to the Project CISMOB (PGI01611), funded by the Interreg Europe Programme. P. Fernandes also acknowledges the support of the Portuguese Science and Technology Foundation (FCT) – Scholarship SFRH/BD/87402/2012.